The LD Systems DAVE 15 G3 is an Active PA-System with DSP built in. It is the third generation of DAVE 15 PA systems and has now reached a level that rivals systems way above the price point. The LD Systems DAVE 15 G3 is designed with power in mind, in fact it is the biggest and most powerful system in the DAVE Range.The best part is, it is still a compact and portable system. A bass reflex subwoofer with a 15" driver constitutes the massive, powerful foundation. The satellites with 8" drivers and HF horns are responsible for a natural sounding, assertive midrange and transparent treble. The subwoofer incorporates a 2.1 power amp module that drives the components of the DAVE 15 G3 with 1x 400W + 2x 150W of continuous power. The LD LECC DSP digital processor ensures perfectly tuned functioning of the system. It includes specially amplitude and low-latency optimised crossovers, separate equalisers and limiters for the bass, mid, and treble frequency ranges, and a dynamic compressor that controls the subwoofer according to volume and provides for increased punch at low volumes. The thoroughly professional features of the DAVE 15 G3 active PA system include rugged multiplex cabinets, all important protection circuits, RCA, XLR/jack combo and Speakon-compatible connectors, and ergonomically shaped, recessed handles. The LD "Evolutive" handles of the subwoofer are especially worthy of mention: the innovative design with a metal ring handle permits secure, convenient handling from all sides. 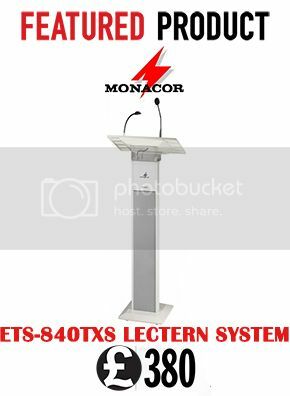 For accurate vertical orientation, the speaker supports of the satellites are vertically adjustable by ± 14° max. in three increments. Speaker protection covers and a castor board with a lashing strap for simple transport are available as accessories. Matching speaker stands, spacer tubes, and mounting forks are also available separately.Like all systems in the DAVE series, the DAVE 15 G3 is suitable for portable use and for permanent installation.